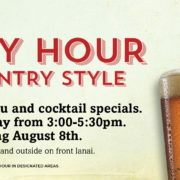 Happy hour will be available Monday-Friday from 3:00-5:30 pm in designated areas. We will have inside and outside seating on the front lanai. *Pau Vodka is made across the street by our friends at Hali’imaile Distilling Company. Check out their website for tour information. 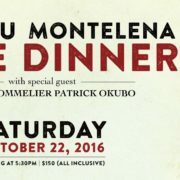 Hosted on Saturday, October 22, 2016, The Chateau Montelena Wine Dinner is a special 6-course dinner paired with the award-winning wines of Chateau Montelena Winery. 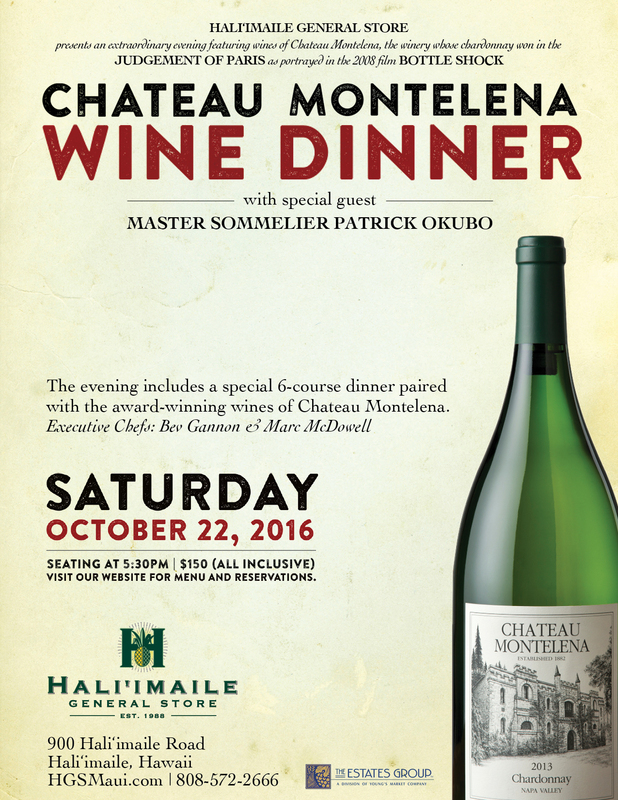 The evenings special guest is Master Sommelier Patrick Okubo. Executive Chefs are Bev Gannon & Marc McDowell. The cost is $150 per person (all inclusive). Seating is at 5:30pm and reservations are required. The complete menu with wine pairings can be found in the menu section of our website. Please call 808-572-2666 for more information & reservations.